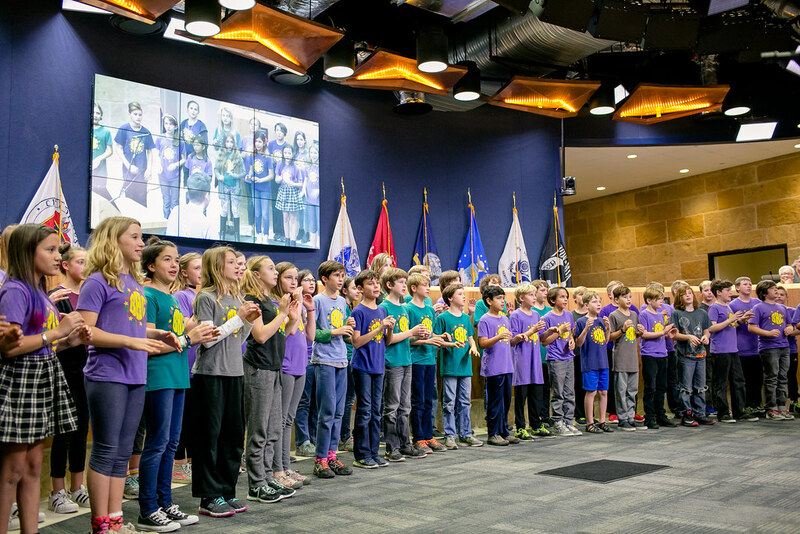 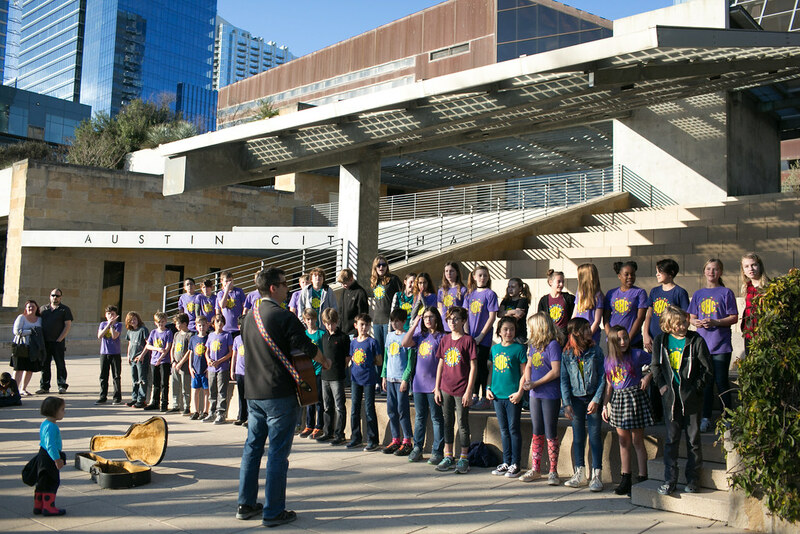 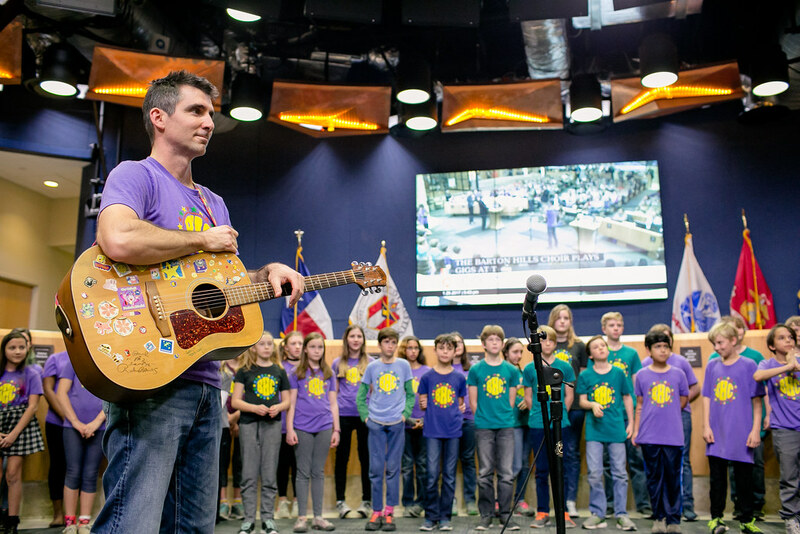 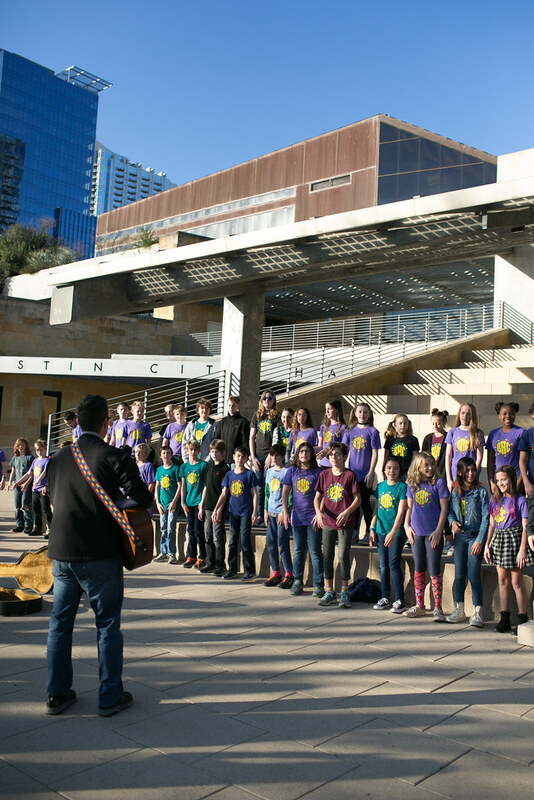 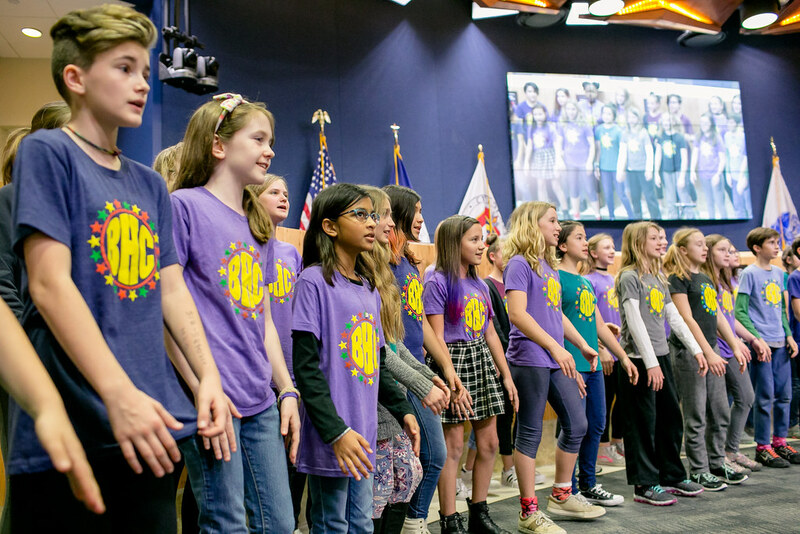 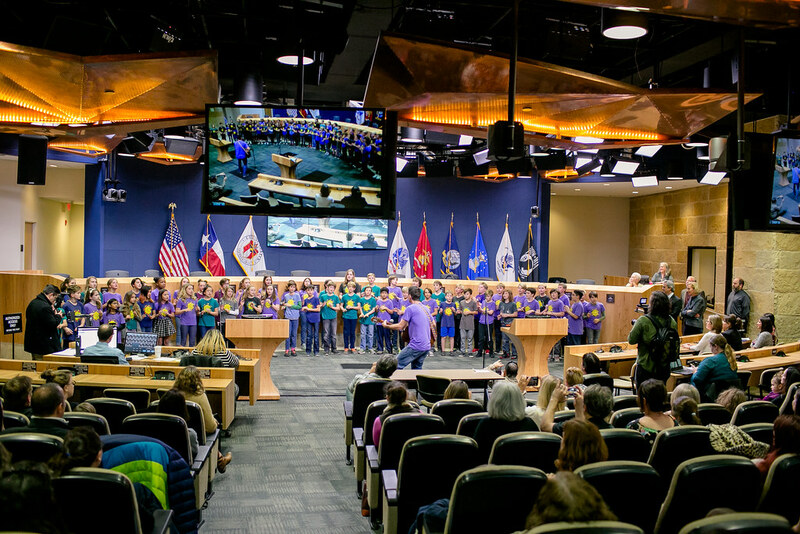 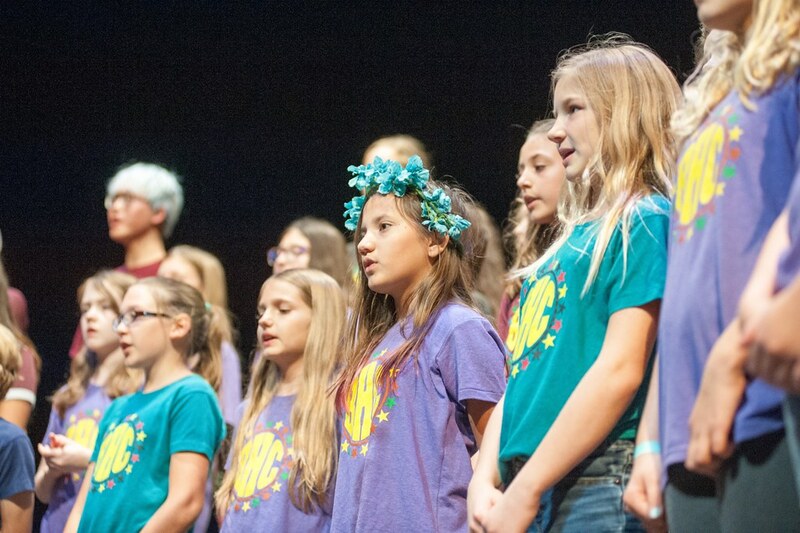 The Barton Hills Choir performed for the Austin City Council on Friday, January 26, 2017 in Council Chambers. 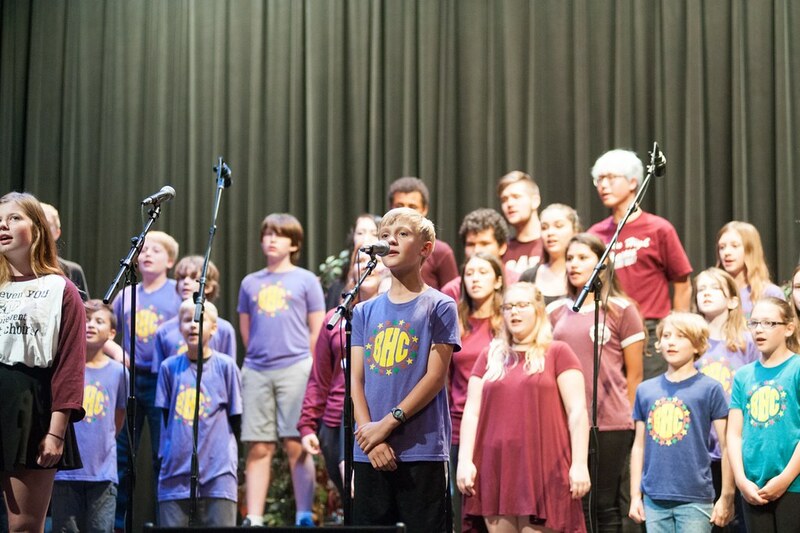 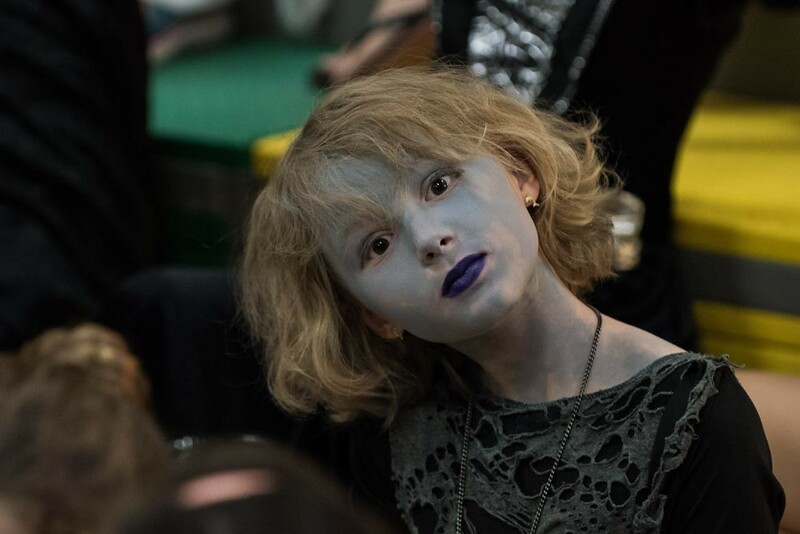 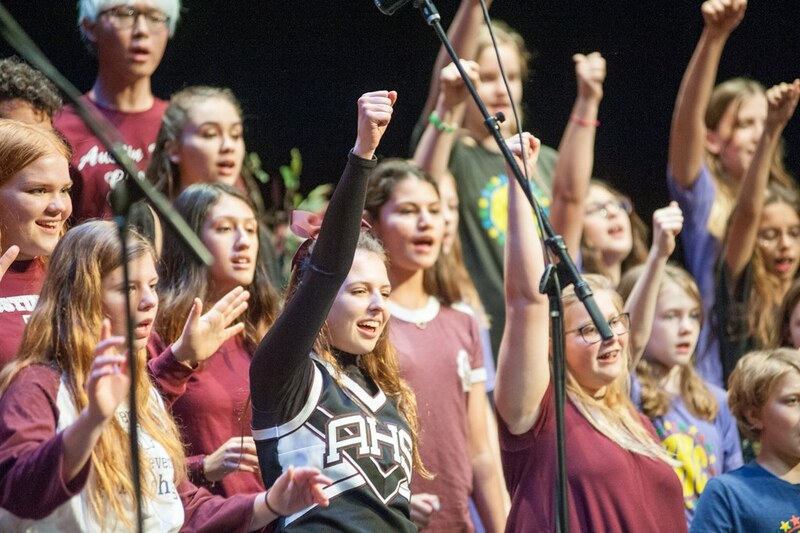 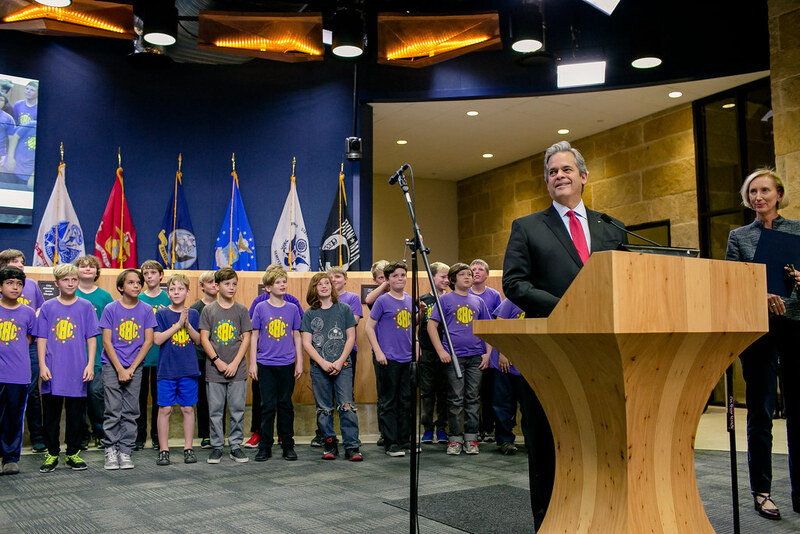 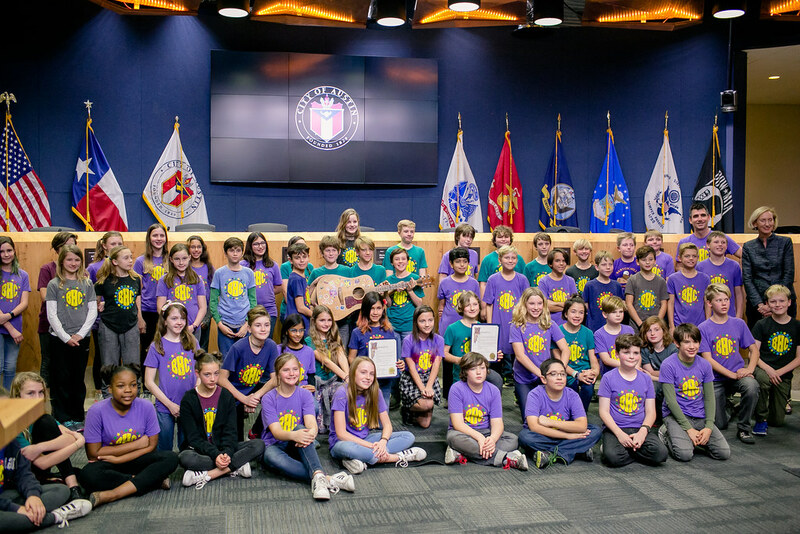 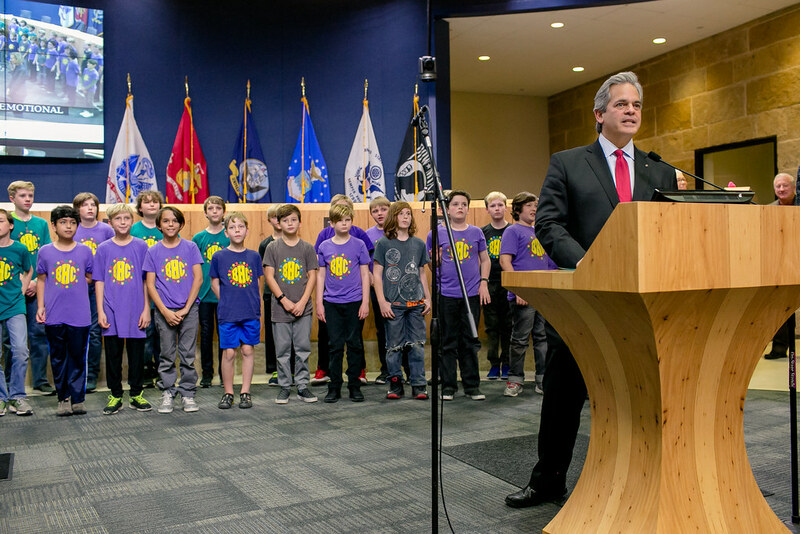 The Choir sang David Bowie’s ‘Starman’ and after the performance Mayor Steve Adler and Council Member Ann Kitchen officially proclaimed it to be Barton Hills Choir Day in the city of Austin. 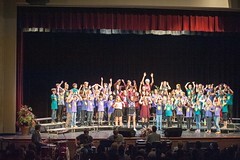 Enjoy these great photos from the event taken by Jennifer Nichols (click to enlarge). 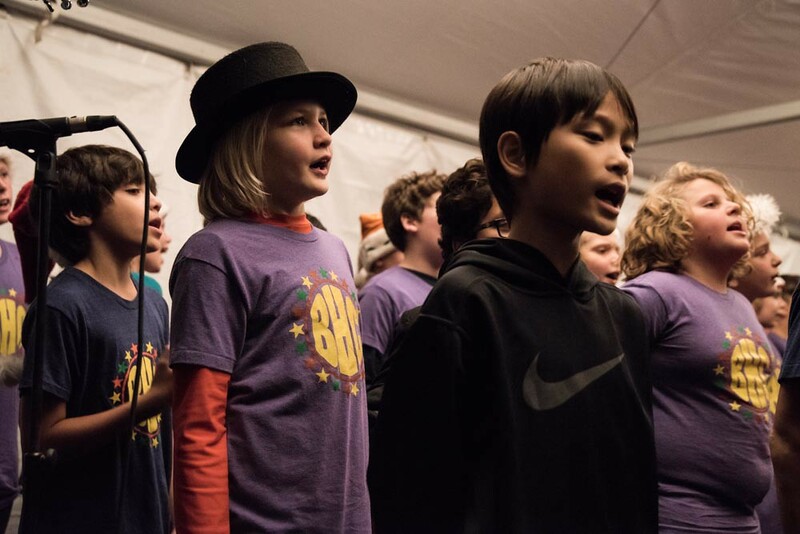 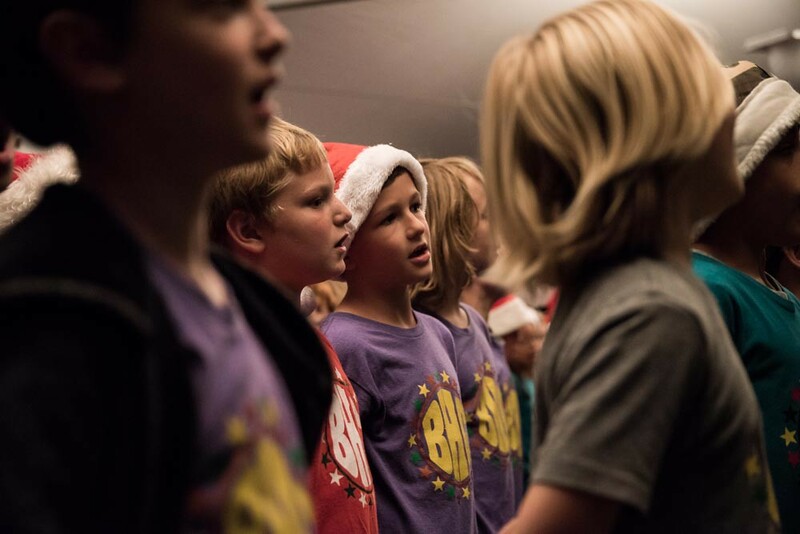 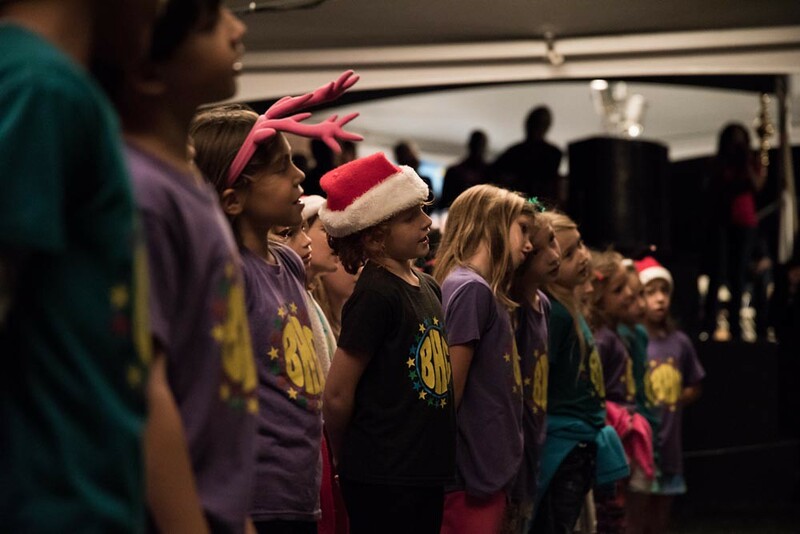 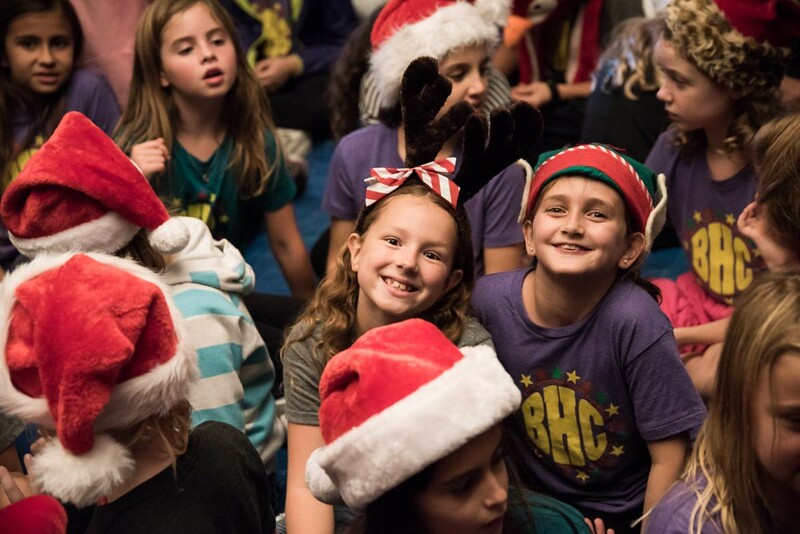 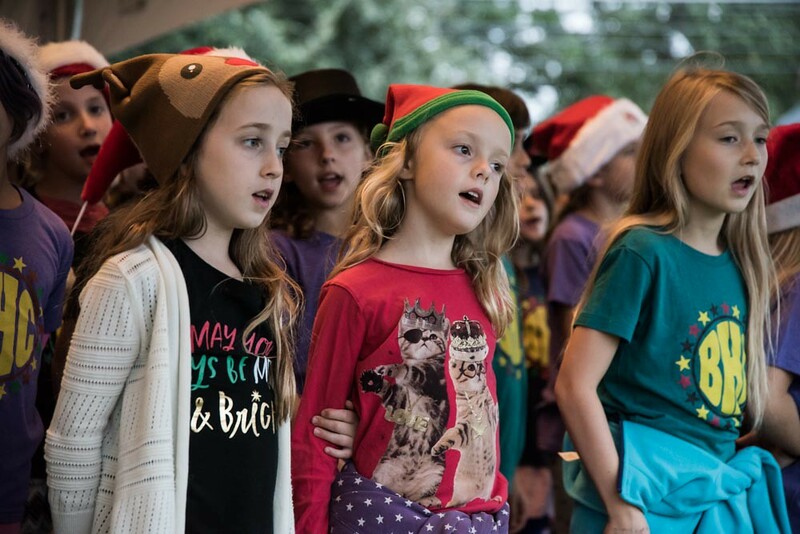 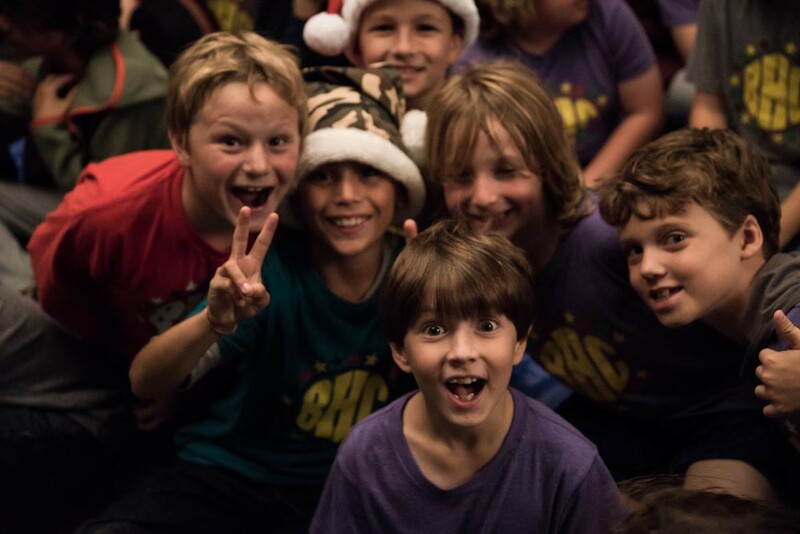 For the eighth consecutive year the Barton Hills Choir performed holiday songs at the annual lighting of the Zilker Holiday Tree. 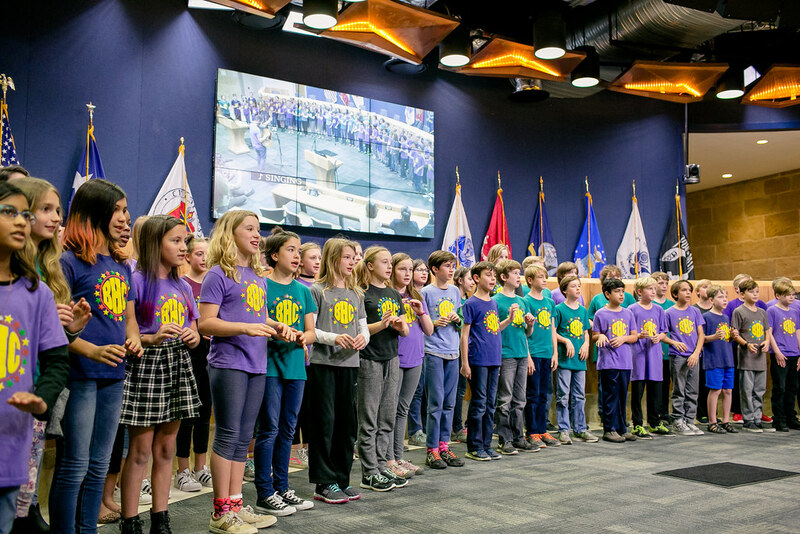 This year was special because the event celebrated the 50th anniversary of the tree lighting in Zilker Park, under a tree created around the newly restored moonlight tower. 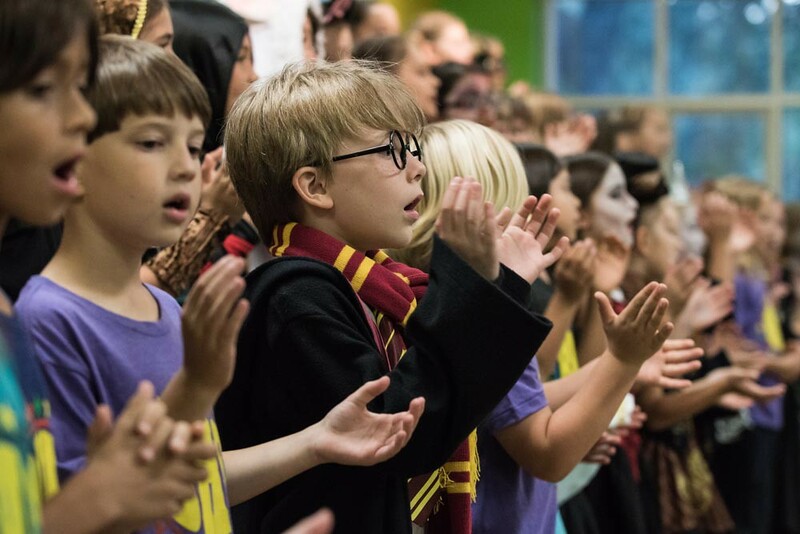 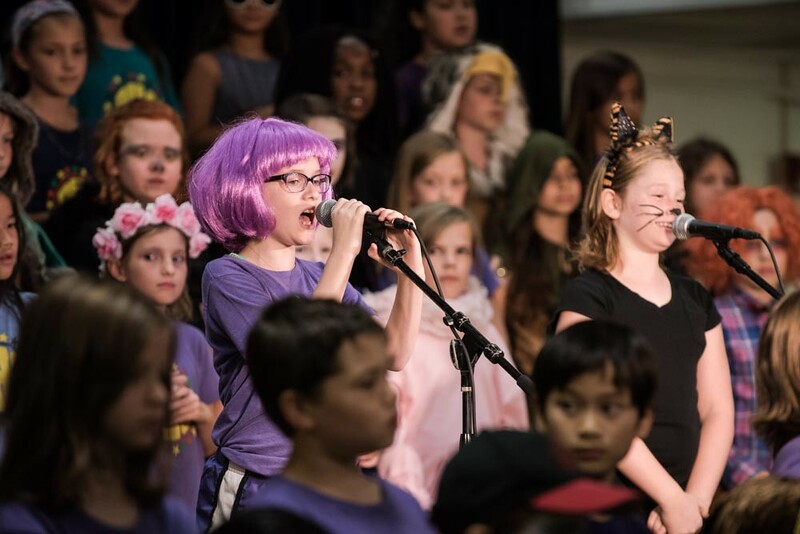 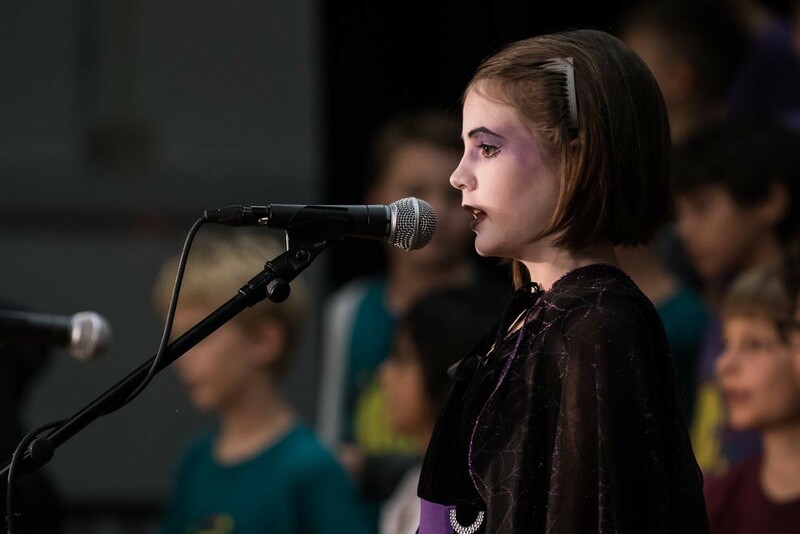 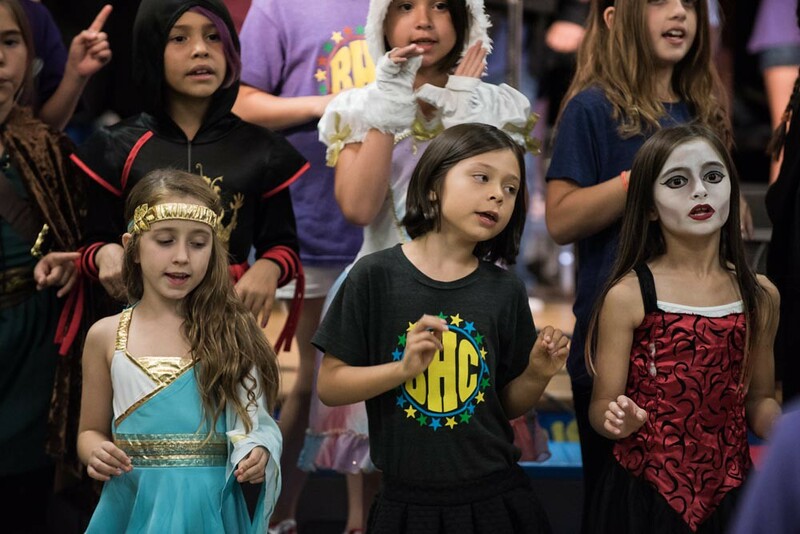 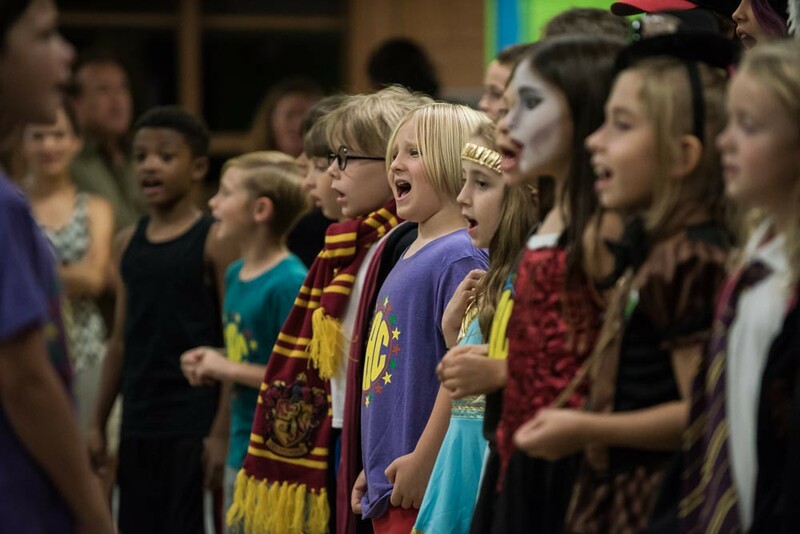 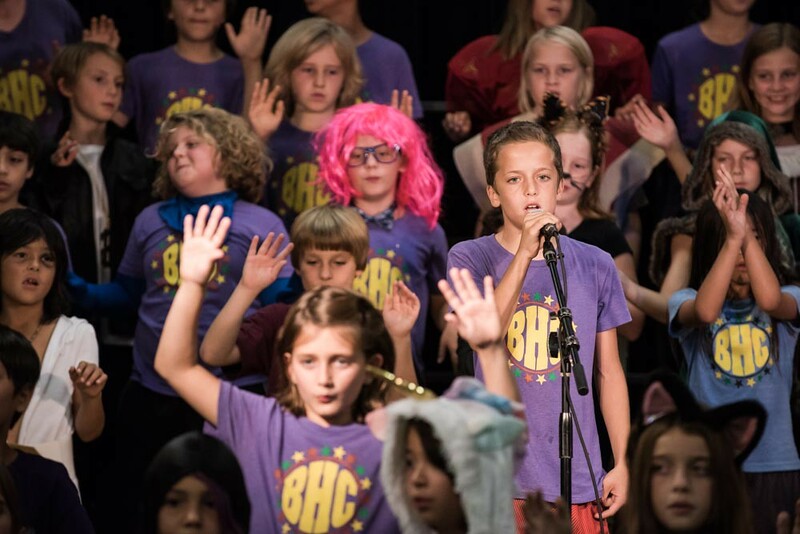 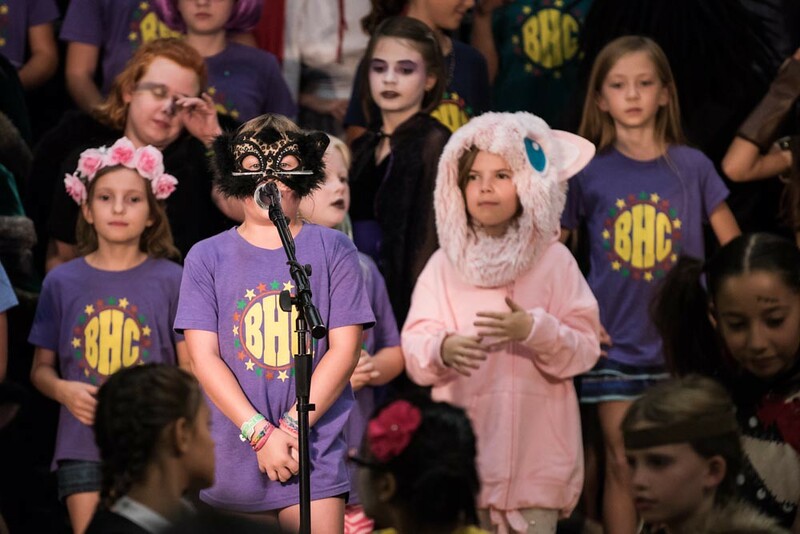 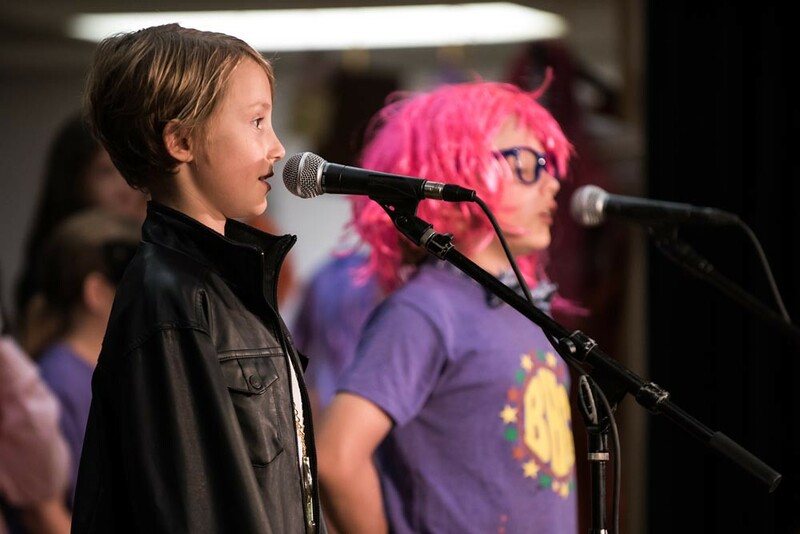 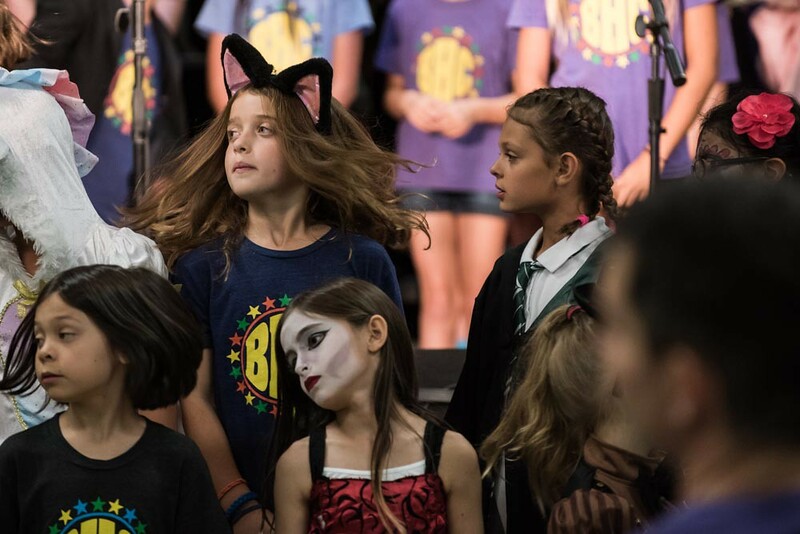 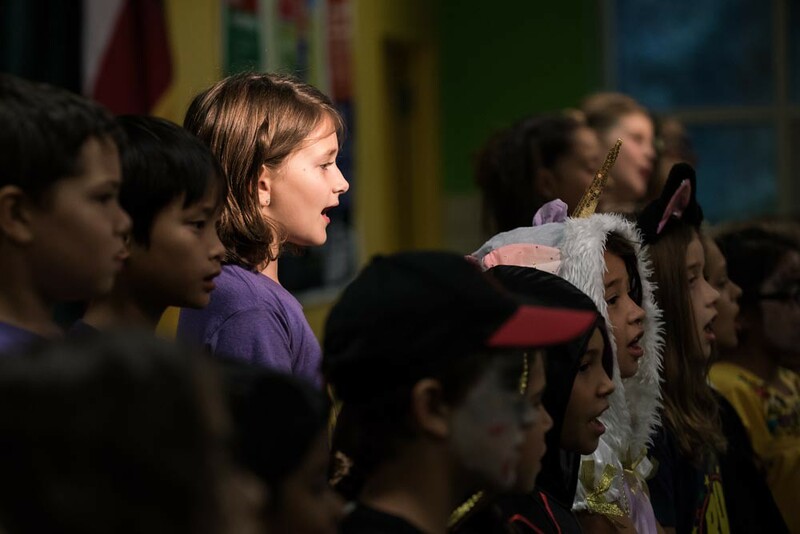 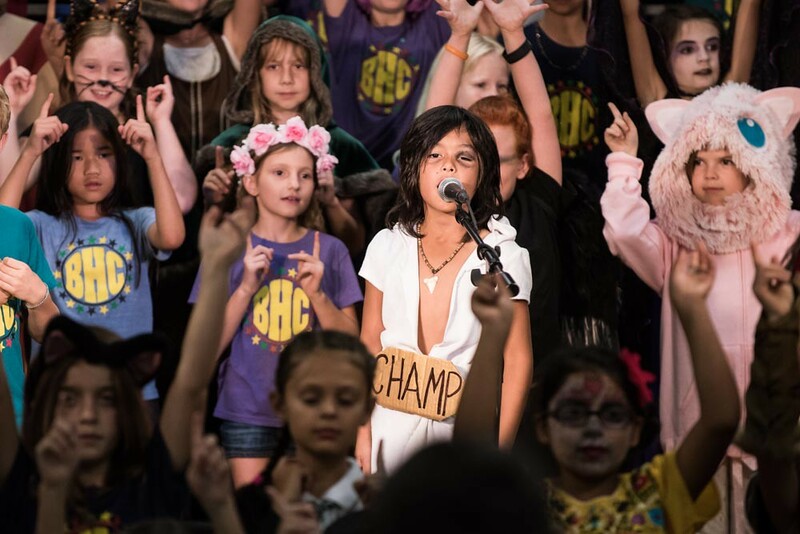 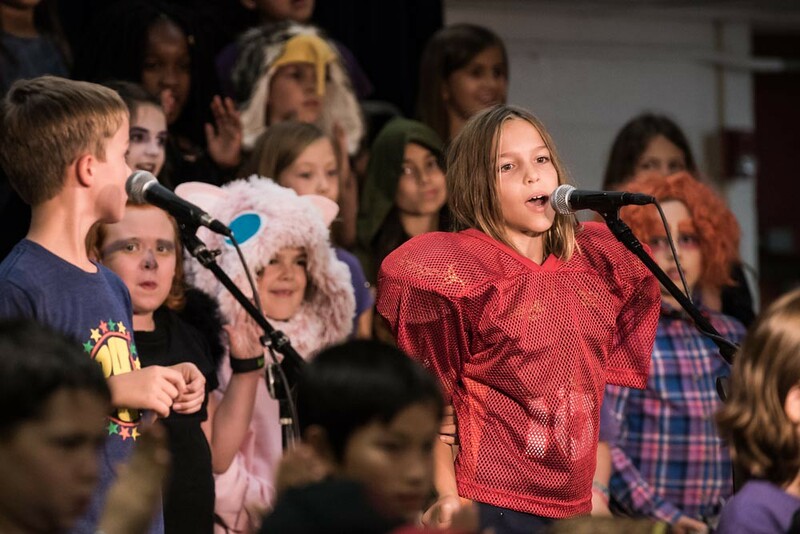 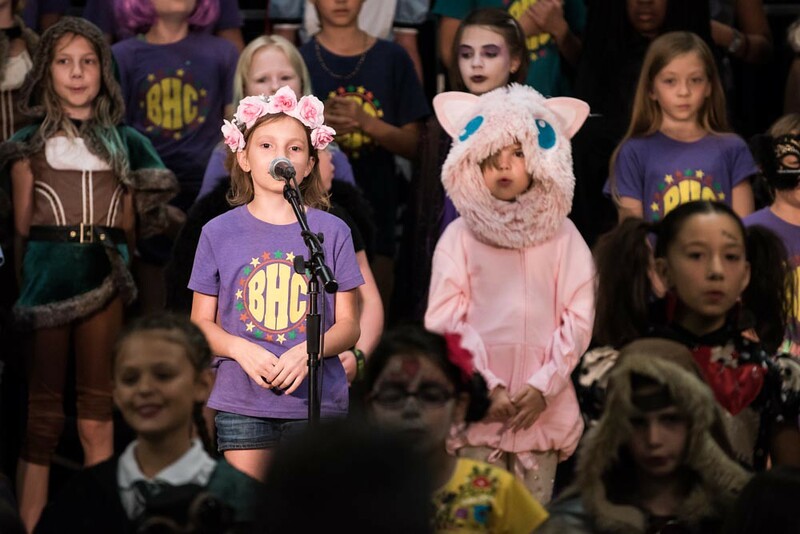 Barton Hills 3rd and 4th grade choir members performed their annual Halloween Show to an appreciative audience at the school on October 27. 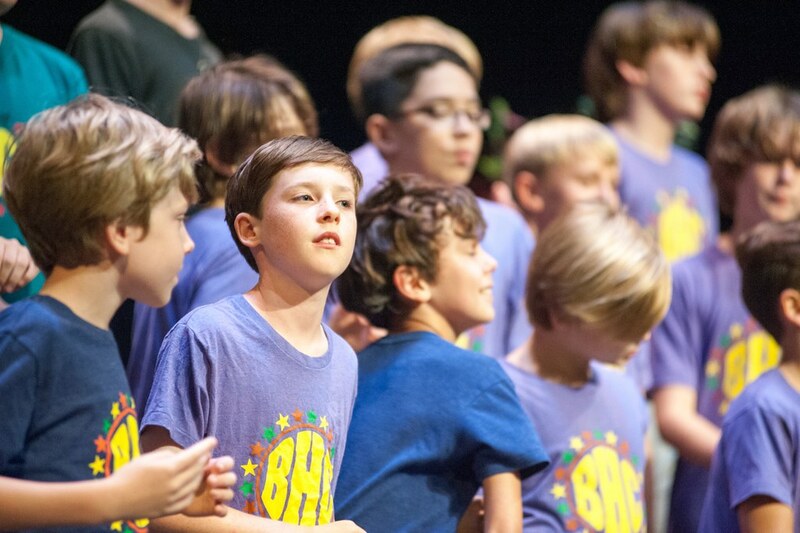 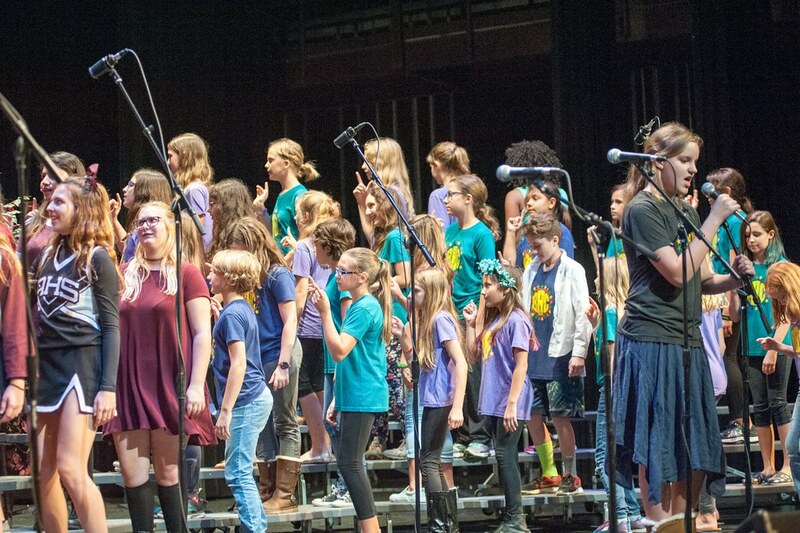 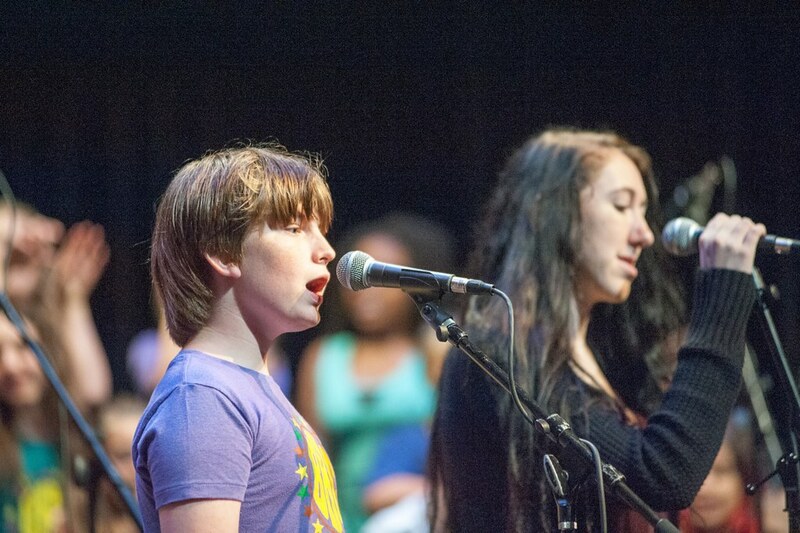 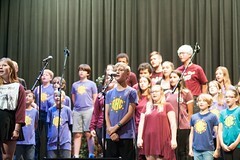 The choir performed oldies favorites including Love Potion #9, Charlie Brown, Daydream Believer, and many more. 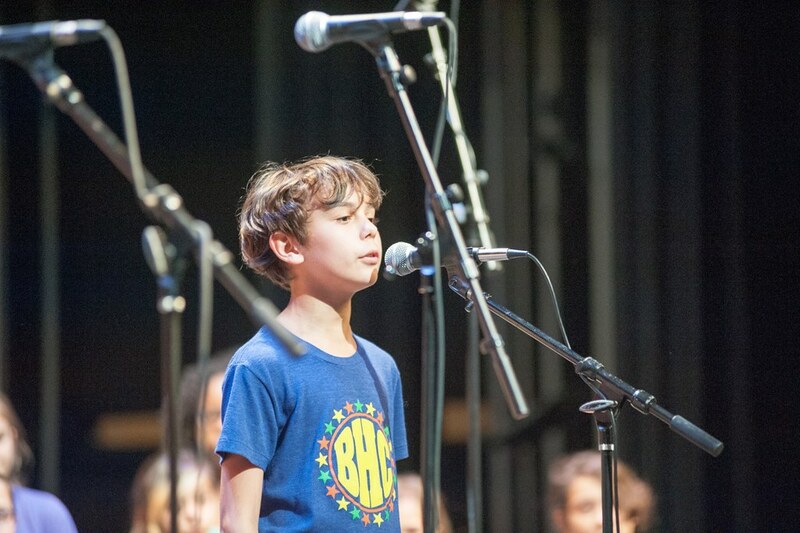 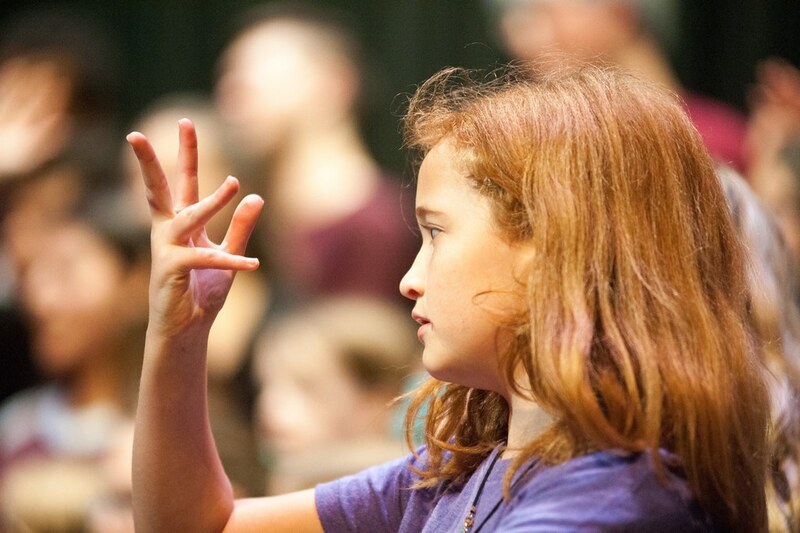 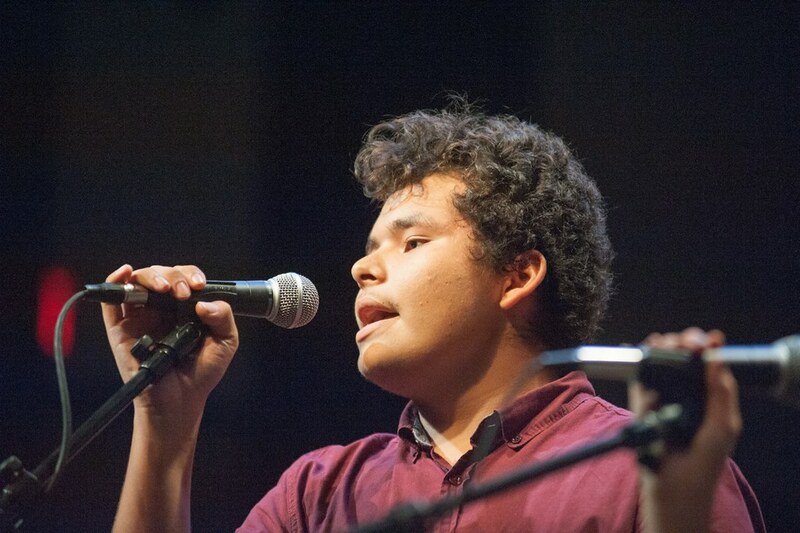 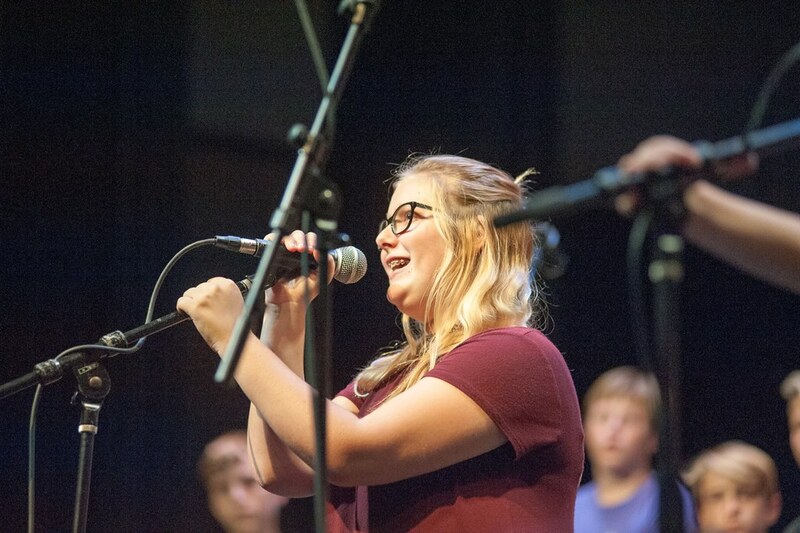 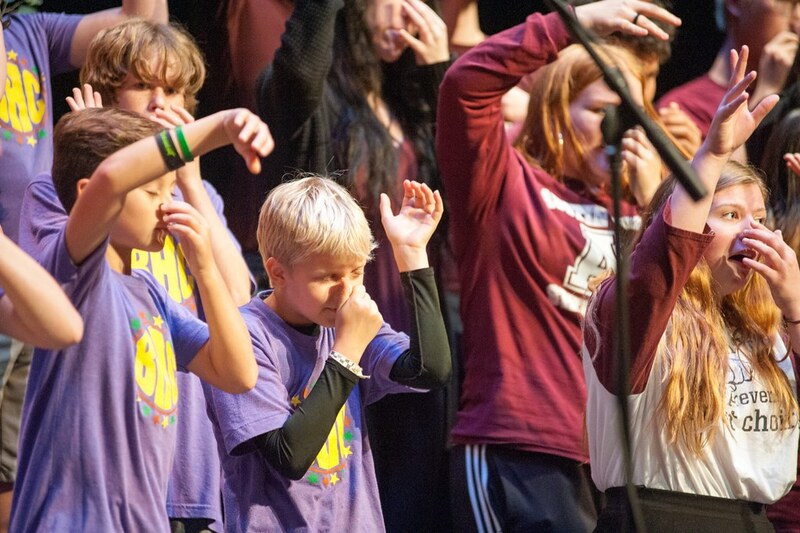 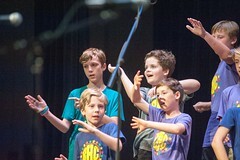 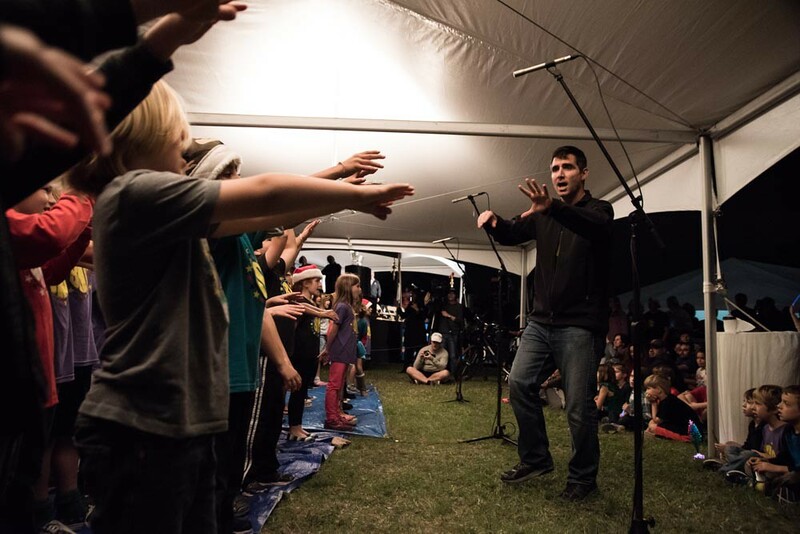 They were accompanied by Choir Director Gavin Tabone on keyboards and Jake ‘Mr Bubbles’ Perlman on snare drum. 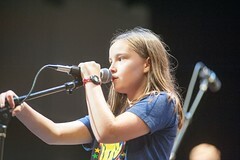 Enjoy these photos from the event courtesy of Dave Mead click to enlarge).